16 :: A Fantasic location for golf, events, room hire and more. why not visit Nottinghamshires most historic 18 hole course today. 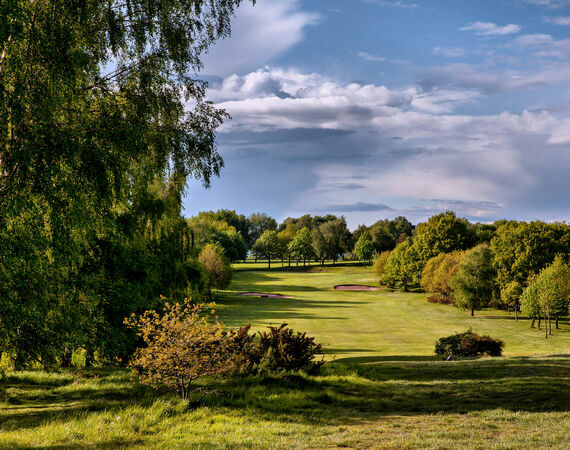 The Beautiful historic 18 hole Bulwell Forest Golf Course located between Bulwell and Top Valley feels like your in a different world, with its picturesque scenery beautiful greens, bunkers and tee's you will feel as if you in the middle of nowhere. Our course has 18 holes consisting of 5 Par 3 holes, 12 Par 4 holes and 1 Par 5 hole. Whilst making your way around the historic course be sure to watch out for the challenge that lies ahead. Pro Tip: A par 4 that is pleasing to the eye, again the premium is on accuracy form the tee with trees both right and left, take an extra club for your second shot to clear the steep bank in front of the green. © 2019 The Bulwelll Golf Club. All Rights Reserved.